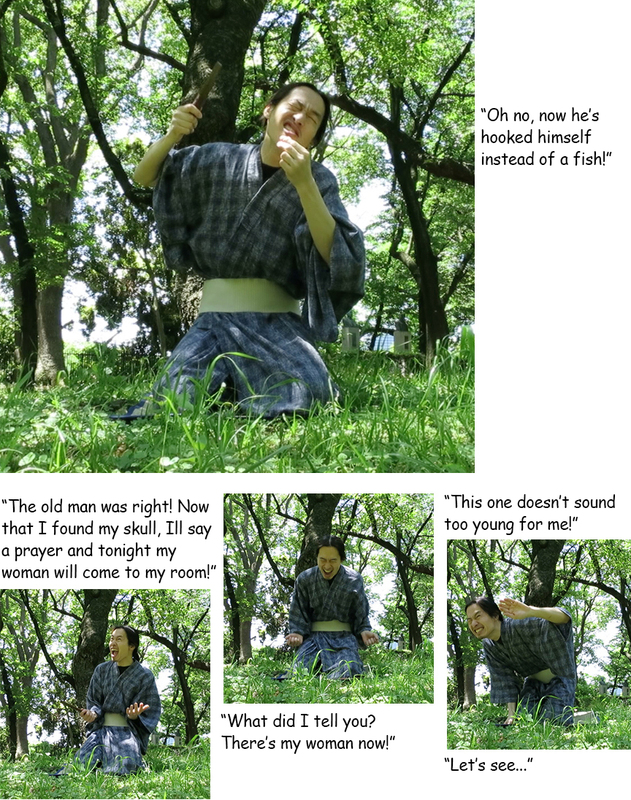 Of all the rakugo performances I’ve seen, Fishing For Women is my fave. It’s got great characters, including a guy who’s more of a nightmare than the worst Tinder story you’ve ever heard! The kind old fisherman who hooks a skull and prays for the repose of the unfortunate soul. The attractiveness-challenged young guy next door, whose spying through the peephole gets him in deep trouble. And then…! 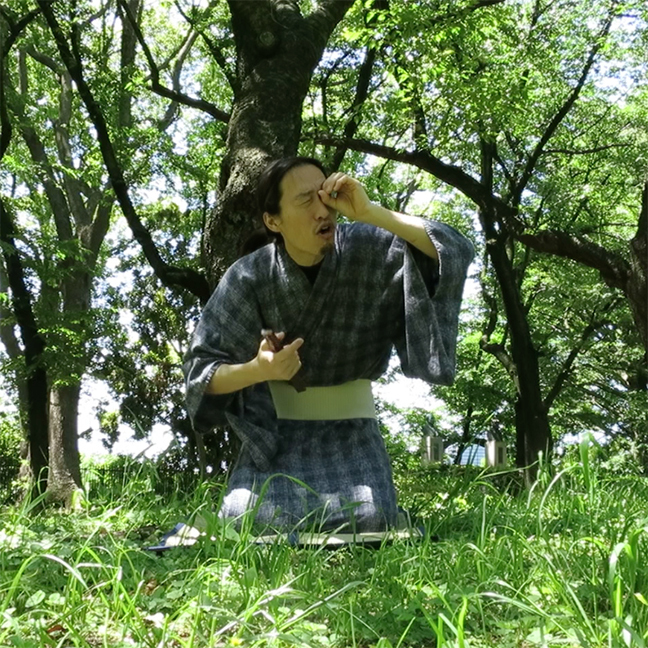 If you watch the video, you can enjoy Ootomo-san switching between characters in typical rakugo style. 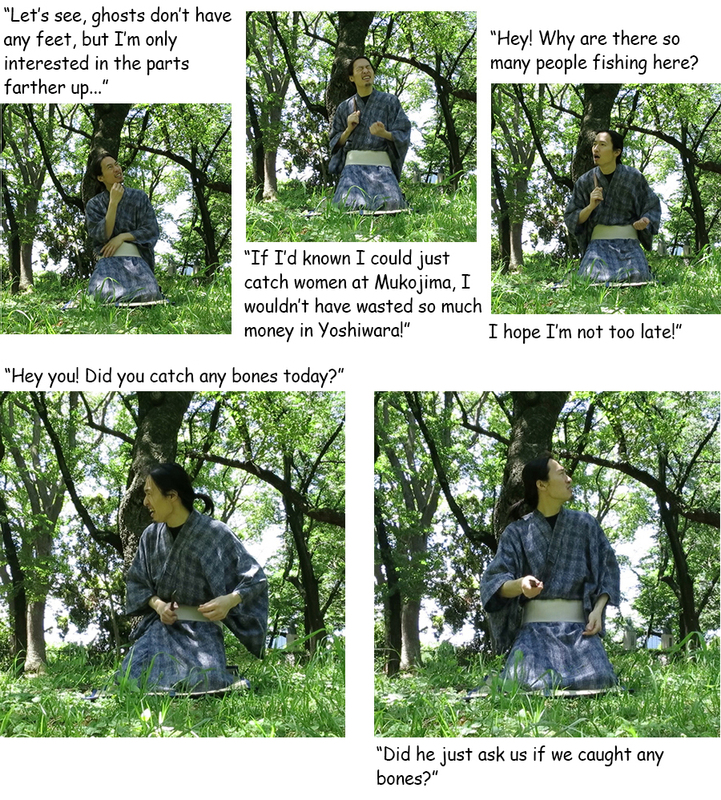 This art is centuries old, but the stories are as funny today as they were in samurai times. Nothing like it really exists outside of Japan, and it’s rarely performed in English, so hey, take advantage! 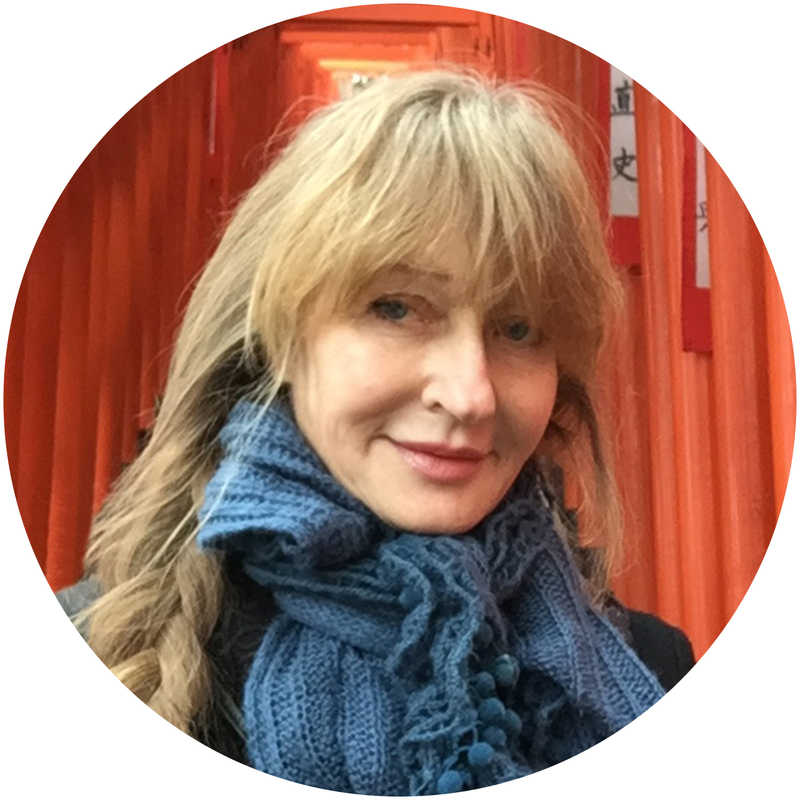 Here’s the video – watch it live! 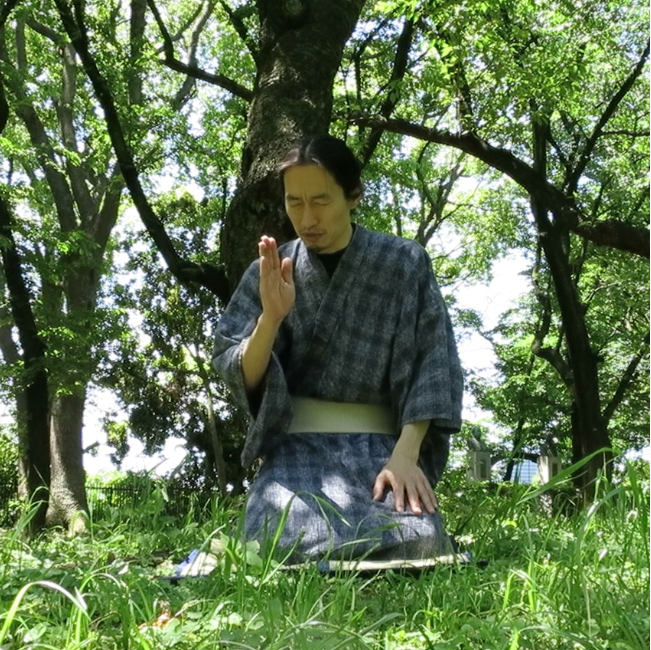 If you liked Fishing For Women, (or want to try a shorter one first, to see if you like it) check out Ootomo-san’s other rakugo performances in English! The next time you’re in Japan, if you’d like to watch Ootomo-san perform live, you can contact him at oh_ho_0312@yahoo.co.jp. Ootomo-san speaks and reads English, and is happy to arrange a performance at a particular time and place.